Courtesy of our friends at Ace Jewelers and their Ace Photo Studio, today we managed to get the rare (2004 pieces) Speedmaster Racing Japan and Speedmaster Racing TinTin together. We recon this is a rather rare occasion, although there are probably a few of you out there who own the both of them.. This entry was posted in Review, Speedmaster Professional and tagged 311.30.42.30.01.004, 3570.40.00, Moonwatch, Racing, Racing Japan, TinTin on January 5, 2018 by Dale Vito. The Omega Speedmaster Professional is a watch we just love to talk about, due to its interesting background. 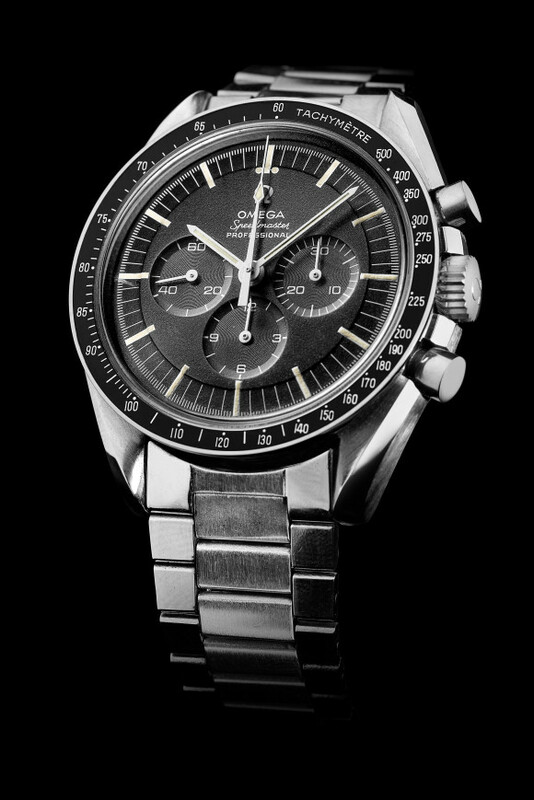 In 1957 Omega introduced this line of chronographs and since then, many different Speedmaster Chronographs have been produced. 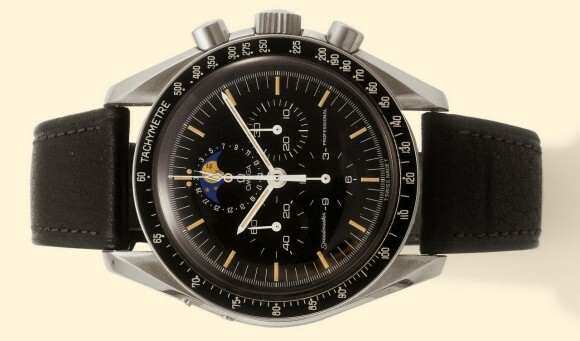 Rightly so the ‘Moonwatch’ was the first watch worn by an astronaut walking on the moon during the Apollo 11 mission. We have asked four of our dear friends to tell something personal about their own Omega Speedmasters. Fun fact: Robert-Jan is the founder of leading watch blog FratelloWatches.com and every Tuesday they write about Speedmasters. They even named it #SpeedyTuesday. 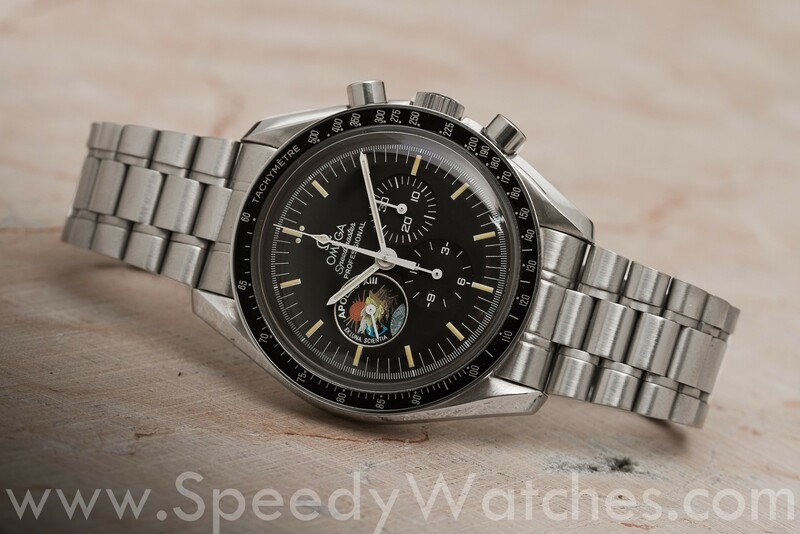 This entry was posted in Editorial, Speedmaster Professional and tagged 311.30.42.30.01.004, 3578.51.00, 3595.52.00, 3650.50.00, Apollo 11, Apollo 18, Moonwatch, Racing, Snoopy, TinTin on July 2, 2015 by Dale Vito. 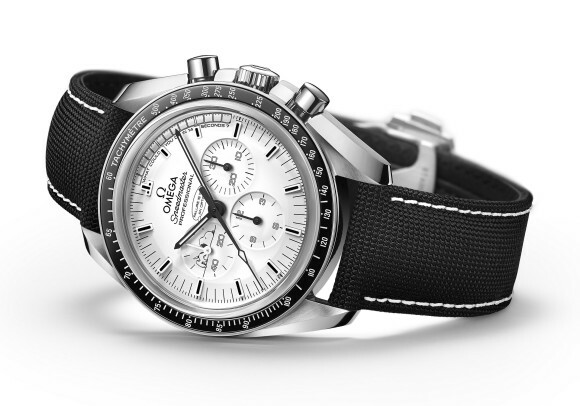 The OMEGA Speedmaster is a definitive candidate for the most famous chronograph in the world. Without any doubt it also is the world’s most important one. Selected by astronauts, tested and certified by NASA and worn on the moon – it has credentials that no other watch can boast. 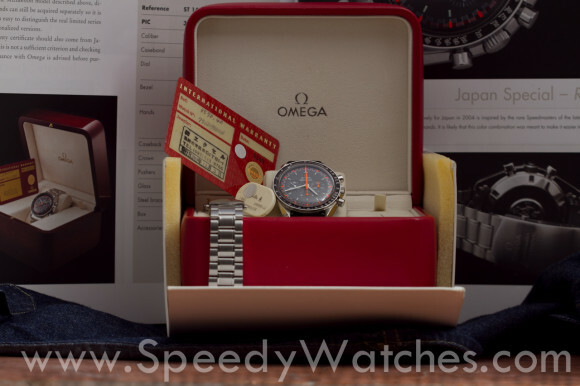 It all started rather inconspicuously in 1957, the year OMEGA introduced its “Professional” line of watches that included the Seamaster 300, the Railmaster and the first Speedmaster. Conceived not for extra-terrestrial use but rather for an earthly desire – speed – the very first Speedmaster, the CK 2915, was intended for and marketed to car enthusiasts, motorists and racing drivers. 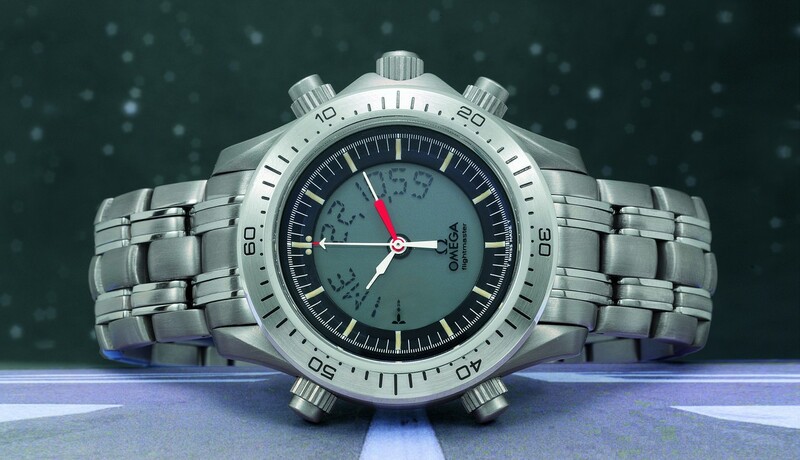 Its tachymetric bezel placed – for the first time ever – outside the dial and crystal and designed to form part of the exterior case design, was yet another world premiere in OMEGA’s long list of achievements. Powered by the legendary manual-wound calibre 321, defined by the graceful lines of its symmetrical case design and proudly displaying time with hands featuring a “Broad Arrow” hour-hand, the Speedmaster became an instant bestseller. 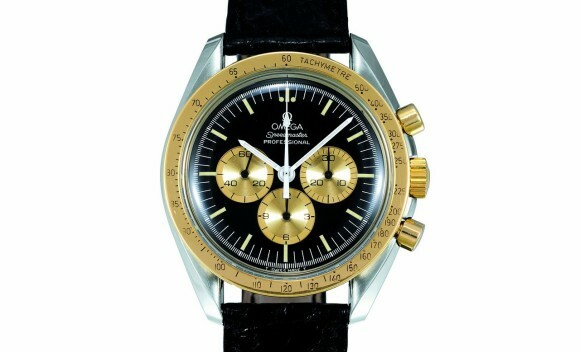 1959 saw the introduction of a revised Speedmaster model, the CK 2998. While the symmetrical case and the calibre 321 were retained, new “Alpha” design hands replaced the ones found on the first model. The tachymeter bezel was also standardized in the black aluminium version still in use today. 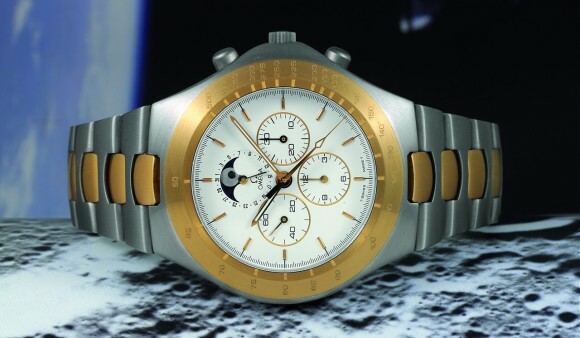 The CK 2998 was the very model purchased by Mercury astronauts Walter “Wally” M. Schirra and Leroy G. “Gordo” Cooper in 1962 as their private watch. It was worn by Schirra during his Mercury-Atlas 8 (Sigma 7) mission, becoming the first OMEGA Speedmaster worn in space, a full two years before NASA’s now-famous tests that led to the official selection of the Speedmaster for use in all of NASA’s manned missions. The next development within the Speedmaster family was a decisive one. Introduced in 1963, and powered by the manual-wound calibre 321, the ST 105.003 is the exact model delivered to and tested by NASA. 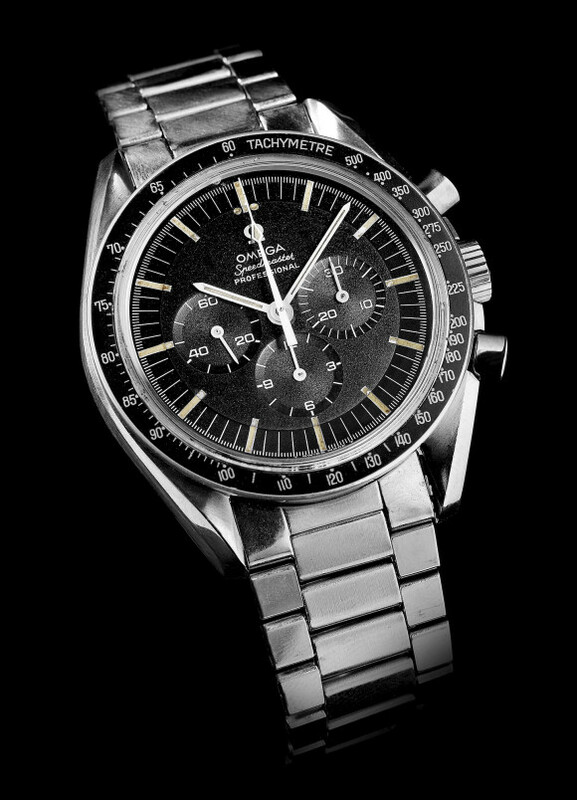 Responding to a request for wrist chronographs in October 1964, OMEGA’s North American agent furnished NASA with the required number of ST 105.003 Speedmasters, without knowing exactly what they would be used for and without informing OMEGA headquarters in Biel, Switzerland. 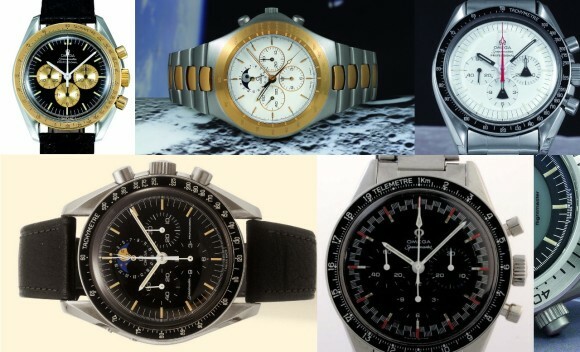 These watches, as well as models from other competing brands, were tested almost to destruction in a series of tests that can justly be described as the toughest trials a watch had ever endured. 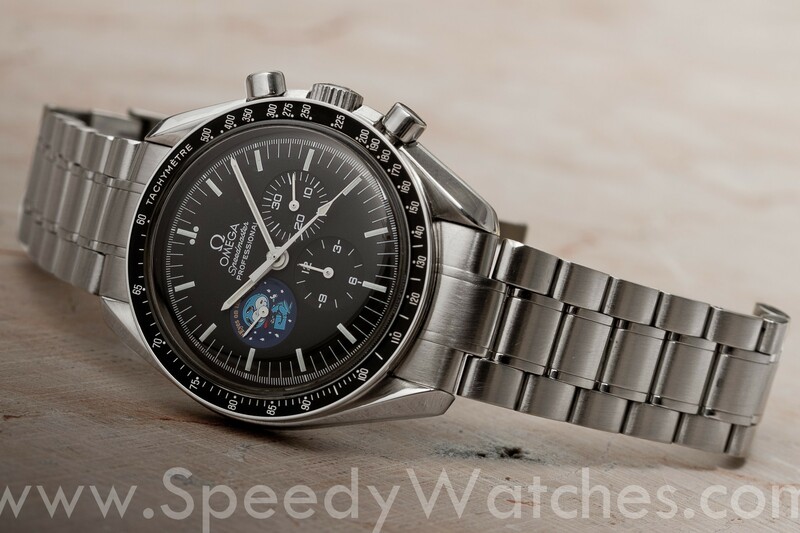 Emerging victorious and functioning within the required specifications as the sole watch that had not suffered catastrophic failures in the strenuous trials, NASA declared the OMEGA Speedmaster as “officially certified” equipment for its manned space program. 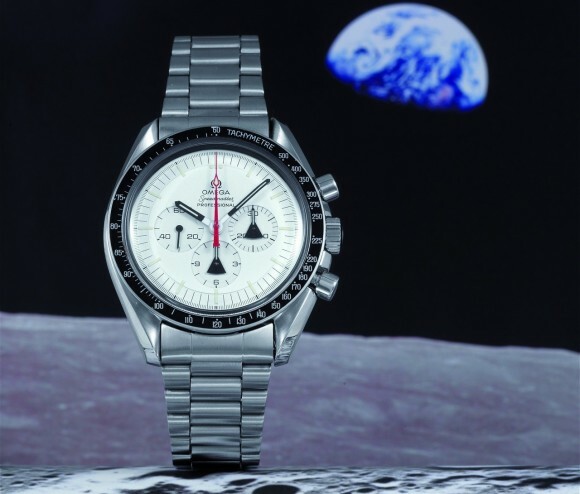 Following the successful trials, NASA procured further examples of the ST 105.003 and officially equipped its astronauts with the Speedmaster. This model reached further fame when it was worn for the first time outside the space capsule: on the wrist of astronaut Edward White, this model became part of America’s first “spacewalk” (extra-vehicular activity, or EVA) on June 3rd 1965 during the Gemini 4 mission. While the brand had no knowledge of what was going on in Houston – indeed NASA’s selection process was carried out without involving the respective companies’ headquarters – the Speedmaster’s design was steadily evolving. In order to offer additional protection to the chronograph’s pushers and its crown, OMEGA designed a slightly altered watch case. Its right side was slightly enlarged, thus enhancing the protection. As it turned out, this “asymmetric” case would be identified the world over as one of Speedmaster’s trademark design-elements. It was introduced to select markets in 1964 with the model ST 105.012 that also featured the mention “Professional” on the dial, as it was indeed prominent part of OMEGA’s professional line of watches. Powered by the same movement, the calibre 321, the model further evolved in 1967 to the reference ST 145.012, with the addition of a slightly improved method of attaching the pushers to the chronograph’s case. This model proved to be the last one to use the brand’s calibre 321, the very movement that guaranteed perfect timing during all six lunar landings up to and including the very last mission to land on the moon: Apollo 17. In 1968, one year before Neil Armstrong and Buzz Aldrin set foot on the Moon, OMEGA introduced yet another milestone in the Speedmaster’s evolution: a new movement. Bearing the reference ST 145.022, the new model was powered by the OMEGA calibre 861, the successor of the storied calibre 321. 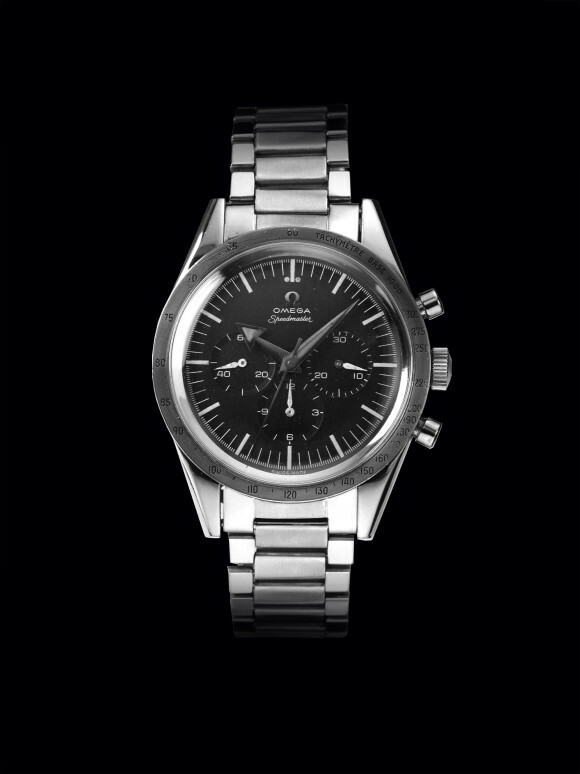 The new manual-wound movement featured several new design elements and reflected OMEGA’s advances in watchmaking technology. Incorporating some production-related improvements as well, the new movement and its succeeding versions continue to power the Speedmaster “Moonwatch” to this very day. 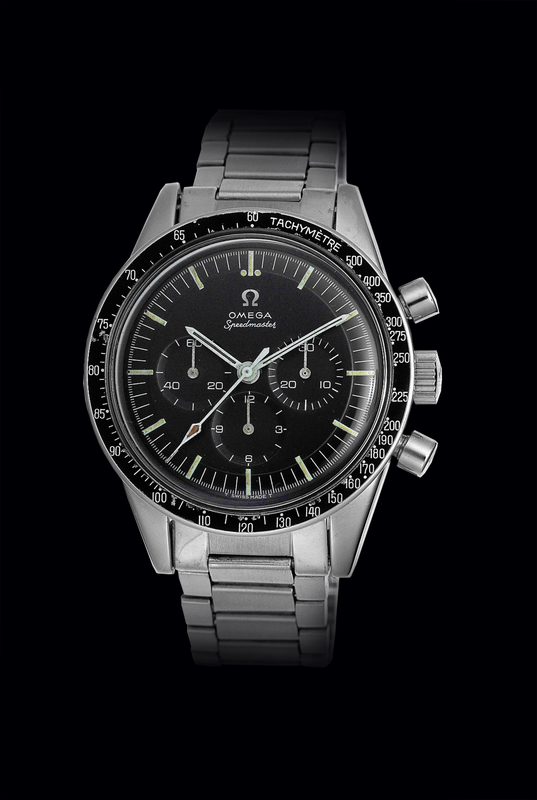 This model marked the first redesign of the classic Speedmaster Moonwatch case, thus introducing a new or second generation of Speedmaster models into OMEGA’s catalogue. Its birth year was 1969 and the name chosen was “Mark II” to signify that it was in fact the second generation of the manual-wound Speedmaster. Offered in various distinct iterations (stainless steel with black dial, stainless steel with grey and orange “racing” and “yachting” dials, gold-plated with a gilt dial and a very rare version in 18K yellow gold) and powered by the calibre 861, the Mark II’s barrel-shaped case, also referred to as the “Pilots’ Line” case, has its roots in a rather secret (at the time) project that OMEGA was working on: a further enhanced and strengthened version of the Speedmaster for prolonged EVA-use on the lunar surface. One version of this ambitious research project that spanned more than ten years and was code-named “Alaska” featured a strengthened and well-rounded watch case with hooded lugs and protected crown and pushers. 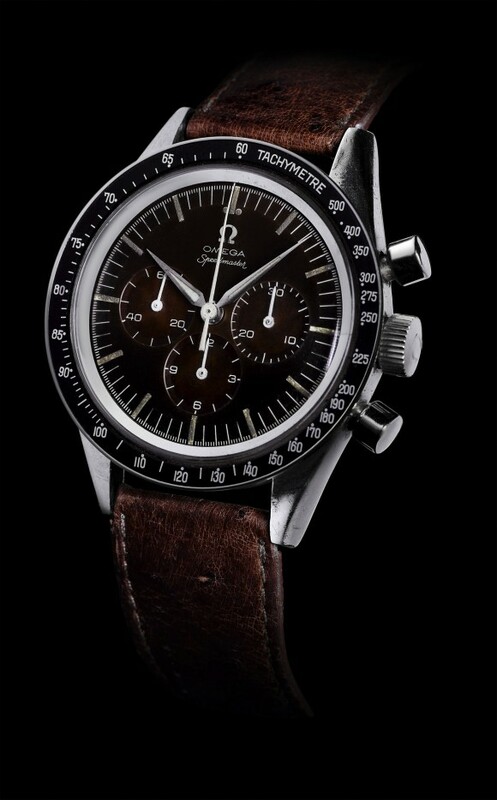 When the research project shifted directions, some of the original ideas formed the basis of the “Pilots’ Line” cases and were introduced commercially in the form of the Speedmaster Mark II and the Flightmaster. Created especially to commemorate the most important event of modern times, this model was manufactured be¬ginning in the autumn of 1969, first in a special series of 28 num¬bered pieces. Bearing a different inscription (“To mark man’s conquest of space with time, through time, on time”) along with the receiver’s name, it was offered to each of the astronauts active at that time at a gala dinner on November 25, 1969 at Hotel Warwick in Houston. 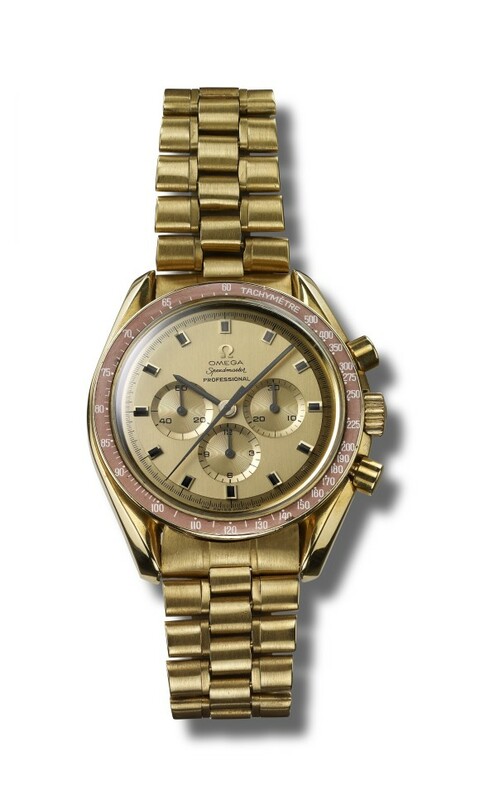 Due to its success, a total of 1,014 of these watches were produced up until 1972. A special model produced as a series limited to 5441 numbered pieces to commemorate the Silver Snoopy Award presented to OMEGA by NASA in recognition of the brand’s contributions to the Apollo program. In 2015, OMEGA introduced the OMEGA Speedmaster “Apollo 13 Silver Snoopy Award”, a watch that pays homage to the unforgettable mission 45 years ago and celebrates the teamwork, quick thinking, ingenuity and courage that brought Commander Jim Lovell, Command Module Pilot Jack Swigert and Lunar Module Pilot Fred Haise home safely. A closer look at the timepiece shows that Snoopy, the beloved dog from the Peanuts cartoon and a NASA mascot, decorates the dial and the caseback – a small tribute to the Silver Snoopy Award that OMEGA was presented with in 1970. 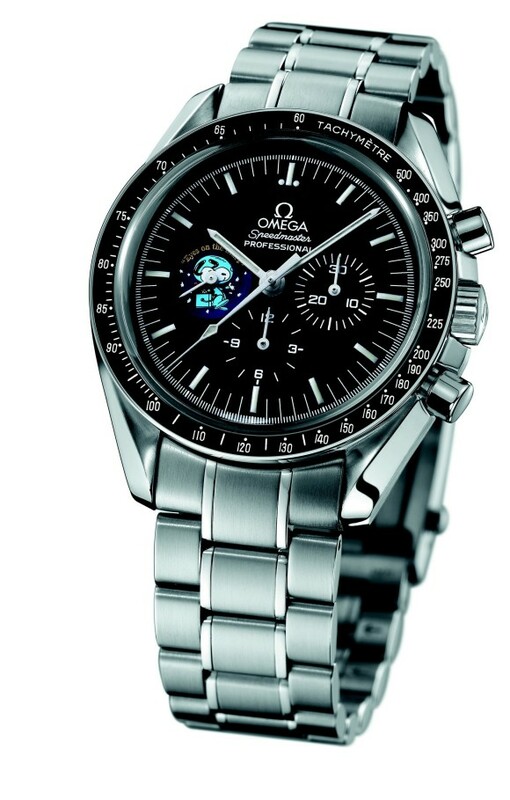 Inspired by the incredible discoveries NASA astronauts made while exploring space, OMEGA launched a statement-making timepiece in 2013 that caught the attention of watch fans and collectors around the world: the ceramic Speedmaster Dark Side of the Moon. Combining the brand’s commitment to quality and innovation with its space legacy, OMEGA’s collection of ceramic watches includes now nine stunning models, one of which is known as the Speedmaster Dark Side of the Moon “Vintage Black”. These stylish timepieces are emblematic of OMEGA’s passion, pioneering spirit and keen sense of what the watch world wants. 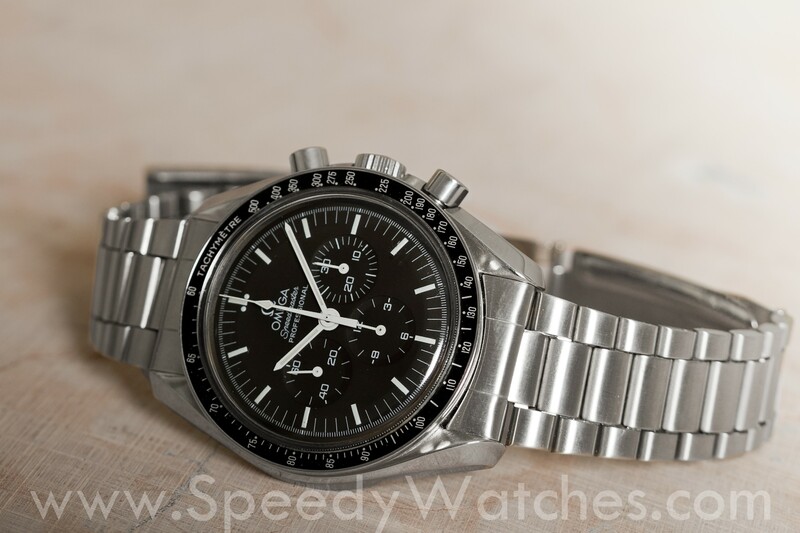 This entry was posted in Press Release, Speedmaster Professional and tagged 311.12.44.51.01.006, 311.32.42.30.04.003, Apollo 11, BA 145.022, CK2915, CK2998, Dark Side of the Moon, Mark 2, Racing, Snoopy, ST 105.003, ST 105.012, ST 145.0031, ST 145.014, ST 145.022 on May 13, 2015 by Dale Vito. A few days back we highlighted some of the rarest and most unusual Omega Speedmaster models found in the Antiquorum archives and as promised, today we’re back for part two! This time we’re working our way up from 2003 – we sort of forgot at which page we left off last time 😉 . 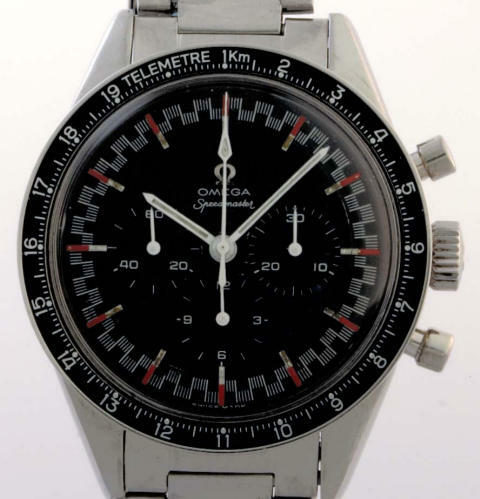 First up is a Speedmaster in a rather peculiar configuration: a racing dial and telemeter bezel. While we don’t have our Moonwatch Only copy at hand and won’t comment on originality, it does seem legit and if so, it was a stellar buy at 3.080 USD including commission. A moonphase display is a somewhat whimsical complication. While of little use to most of us, it adds a touch of romance to a dial that’s hard not to love. 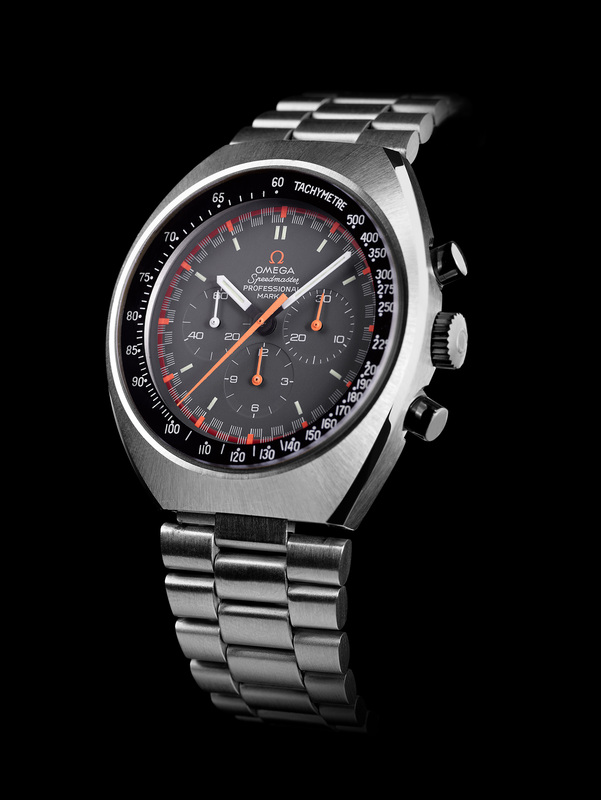 Omega first introduced this feature to the Moonwatch in 1985, in a limited run of 1300 pieces of the reference 345.0809. The differences compared to the current Speedy Moon are subtle yet noticable; the current version uses rings around the subdials for an arguably more luxurious look, while the vintage one has a more utilitarian feel to it – save for that charming face on the moonphase disc. This example was sold at the 2004 December 1st New York auction for USD 3.680 including commission. Enter Omegamania, the auction that caused quite a stir and achieved top results for a huge number of lots. 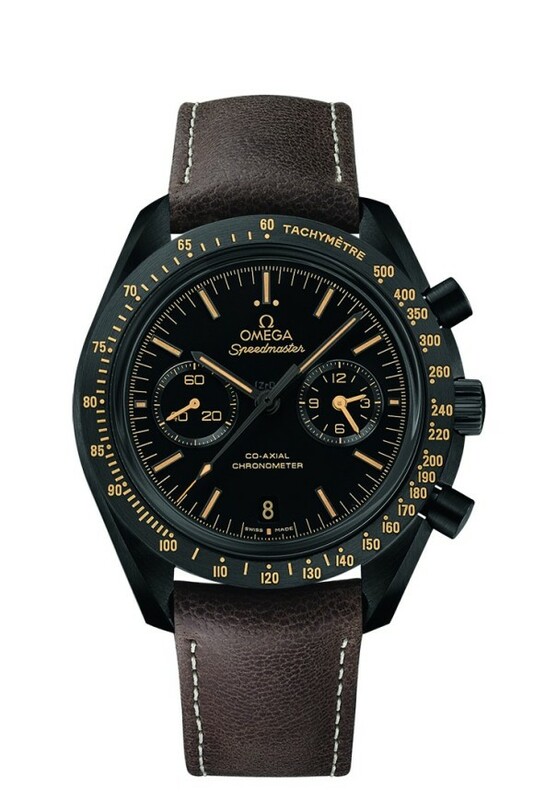 The prototype pictured above is a wonderful mash-up of Omega’s most iconic lines: named Flightmaster, it used a case similar to that of the Seamaster Chronograph and would grow out to become the Speedmaster X-33 ‘Mars Watch’. The hammer fell at 16.520 CHF including commission. And another Speedmaster Moonphase – although this one is arguably more of an acquired taste. The distinct eighties style ‘Teutonic’ case in two-tone (titanium and yellow gold), the white dial, the moonphase – somehow it seems to work. This rare Speedmaster (300 pieces) in seemingly perfect shape was sold for a quite impressive 9.440 CHF including premium. Boom. Holy grail alert – one of the original Alaska Project Prototypes. The Alaska Project was lead by Pierre Chopard from 1971 to 1973, trying to explore and improve the limits of the original Speedmaster Professional. Included in the sale was the red outer case, designed to improve its resistance to low temperatures. Final price? 64.900 CHF including commission. Indeed you’re right – we’re skipping a lot of the usual suspects and high-profile models. 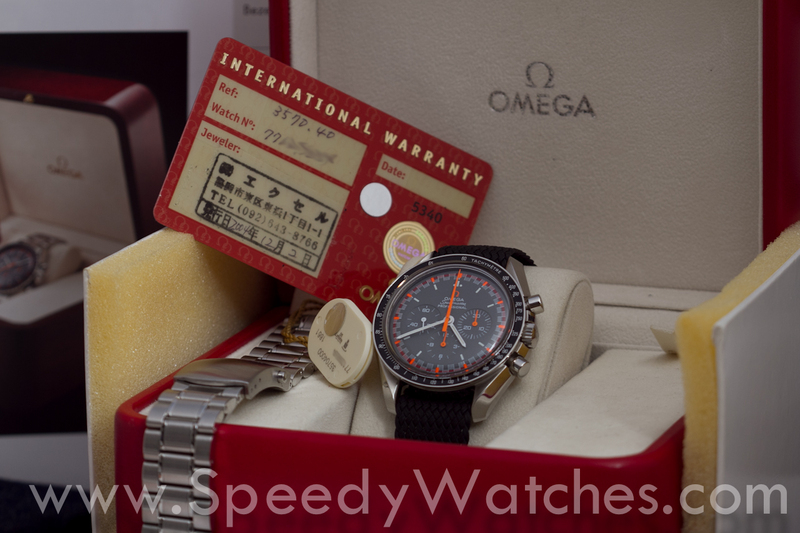 Here’s another one we love and that’s very rarely seen: the Omega Speedmaster Professional Italy DD 145.0022. Were it not for a friend of ours who owns one, we’d probably have a hard time locating one.. The two-tone is such a huge change compared to the regular Speedmaster look, although it -in our opinion- hardly detracts from the instrumental nature of the watch. This watch was made as a limited edition for the Italian market and sold at Omegamania for 14.160 CHF including premium. We’re sorry guys – this is it for today. We’ll be back for more soon! This entry was posted in Editorial, Speedmaster Professional and tagged Alaska Project, DD 145.0022, Flightmaster, Racing, Speedmaster Moonphase, ST 145.0022, ST 345.0809, TA 345.0810, Teutonic, X-33 on November 20, 2014 by Dale Vito. It’s been a while folks.. How’ve you been? Our day-to-day business has been keeping us very busy in the past few weeks but we’re back with a vengeance! 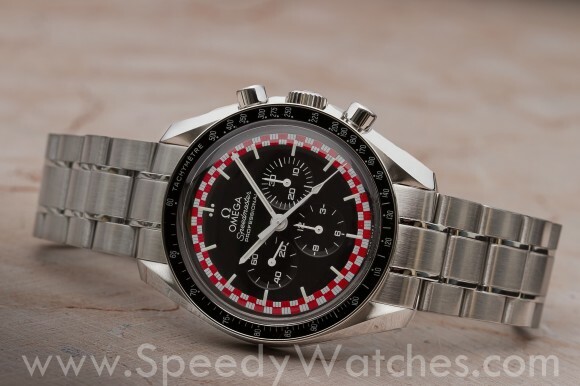 Please welcome the newest addition to the SpeedyWatches.com family: the Racing Japan 3750.40.00! If you’ve been following SpeedyWatches, you’ve seen our post with the loose dial of the Racing Japan 3750.40.00.. Our friends at Ace Jewelers keep one in their safe, waiting for that one customer who wants to build his or her own Japan Racing Speedy. But today we’re not featuring a custom Speedmaster, but the real deal: a true Racing Japan 3750.40.00 sold in Japan in 2004 with the goodies to back it up. As the only differences between a regular 3570.50 and 3570.40 are the dial and hands, the provenance is very important if you’re into such things. In this case, make sure the serial number is in the right range and that the card is stamped by a Japanese retailer. Extras like the hang tag with the distinct serial number are a nice bonus.. And if in doubt, an extract from Omega’s archives should do the trick. While obviously equally wonderful, to some of us the story and history adds that little something extra 🙂 . Quick & Dirty pics were shot at the Ace Jewelers photo studio. 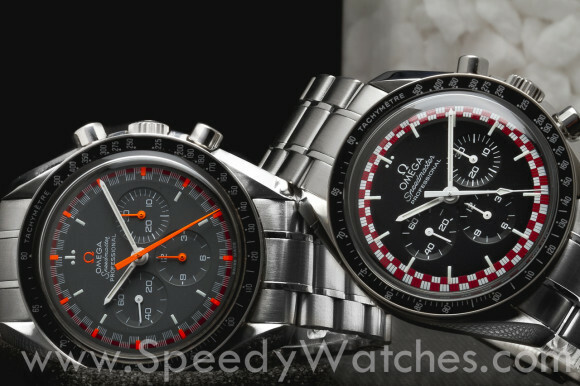 Contact Ace Jewelers if you’re interest in a brand new Speedmaster! The book in the background, Moonwatch Only, is available at Ace Jewelers. 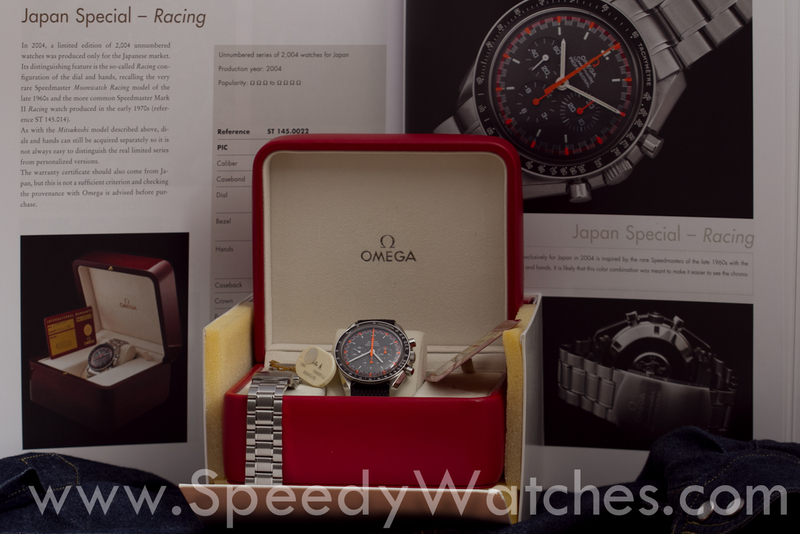 This entry was posted in Report, Speedmaster Professional and tagged 3750.40.00, Limited Edition, Moonwatch, Racing, Racing Japan on September 27, 2014 by Dale Vito.